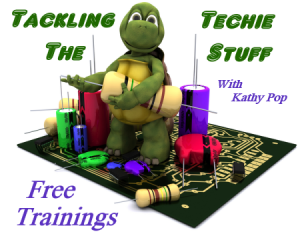 Free trainings will be resuming beginning on Tues July 21, 2015 at 10 am CST. They will be held every other week. PLEASE share some topics you would like to discuss or learn more about in the comments below. I would like to meet on Tues July 14th to brainstorm topics for future trainings. I want to know what you want to learn more about. Please join the Facebook group to continue the discussions, brainstorm ideas, or get help between trainings. I will leave it open for the remainder of July, then it will become a closed group. I want to give people a chance to find and join it. One thing I would like to accomplish with this group is to help it’s members meet or even exceed their goals in record time. I know all too well how easy it is to lose momentum as time goes by, so I will try to challenge you to stretch beyond your comfort zone a little. Let’s discuss what rewards to offer for those who complete the challenge. You can write them in the comments below or in the FB group. They can be anything from cash on a gift card/ prepaid Visa to books, mugs, etc. I’m open to all suggestions. What will it take to motivate you to accomplish a particular goal? What will it take to build momentum and keep it there? What things do you want to accomplish? Where would you like to see your business & life be in a year from now? Please share them in the comments and/ or the group. Let’s make each day more awesome than the one before.